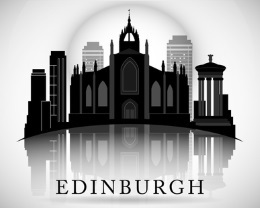 Are you looking for a local Edinburgh personal injury solicitor? Your search ends here. We have highly skilled and professional solicitors that are experienced at handling personal injury cases and will help you file your claim and help you get the compensation you deserve for your injuries. When working on a claim our personal injury solicitors team for Edinburgh take several factors into consideration, right from the circumstances of the accident and the severity of your injuries to the possible long-lasting effects of the injuries and how they could affect your quality of life. All of these issues help us build up a stronger case that improves our odds of winning the best compensation possible for you. Our Edinburgh personal injury solicitors start by giving you a free consultation over the phone to evaluate the merits of your case and to understand your needs and your priorities. When you or your loved one has suffered an injury, filing for compensation will probably be one of the last things on your mind. Most people tend to put off pursuing any claims in order to focus on other aspects, particularly their medical and emotional needs after an accident. The mental scars can sometimes take longer to heal than the physical injuries. While that is understandable, speed is of importance if you want to pursue a claim for compensation. In the UK, there is a 3 year limit within which a claim must be filed. If legal proceedings are not started in court within the stipulated 3 years, the case becomes time-barred, which means you will lose the right to file. Failing to take this into consideration can cost you the compensation you deserve. Should you hire our personal injury solicitor from Edinburgh you can rest assured you are in very capable hands. We know that the weeks and months following an accident can be tough. We help you through the tough phase by giving you the best legal advice possible and drawing up a strong case for you if you decide to go ahead with filing the claim. With our Edinburgh solicitor by your side you can focus on healing without having to worry about any legal formalities or fees. We take care of it all for you without charging you any upfront frees either for the consultation or for representing you. A fee is applicable only at the end of the case and only if we have won it for you. The fee is usually a percentage of the compensation settled on. To read more on that please click here. We work as quickly as possible so that you are not dragged into a long case that may otherwise seem never ending. Our solicitor will actively fight for your claim and try to get you a settlement as quickly as possible. Through it all, we ensure that you have the final say on all matters. This will keep you in charge of the claim without having to do all of the paper work and other time consuming formalities. Our Edinburgh based personal injury solicitor takes on all kinds of personal injury claims. We will help you with accident claims both at home as well as abroad. We are also very experienced with workplace accident claims as well as claims dealing with motorcycle accidents, car accidents, injuries sustained while shopping or walking on the pavement, spinal injury claims and medical malpractice claims. Please get in touch with us now to see how we can help you, even if it’s just for advice.